For more than six months Hachette, a large publisher, has been wrestling with Amazon – the largest online retailer of its books – over pricing. The dispute soon escalated from private negotiations to a public brawl with all the hallmarks of a schoolroom hair-pulling fight. Over the years, businesses that specialised in certain parts of the publishing process became independent of the rest of the publishing chain, until they formed distinct industries of their own. 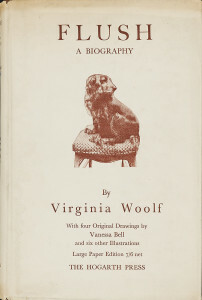 Specialist printers took the work of the publisher’s printing department. Specialist agents and editors took on the role of curating authors’ work. Specialist booksellers took on the work of putting books in front of consumers. The days of the vertically integrated publisher were over, at least in the developed world where books are big business. Some companies managed to keep two publishing functions in-house: rights and branding. Rights mostly means entering into contracts, and branding means deciding which stories to tell and how to package them. Pretty much anything else could be left to the specialists. But if you kept rights and branding in-house, you could call yourself a publisher, because you got to decide where and how your books would reach people. And so, in the world of books, we use the word ‘publisher’ really to mean specialists in rights and branding. In this world, for fifty years or more, the specialists lived in relatively peaceful symbiosis. This was possible while the constraints of the book trade were constant: given available technology and good sense, you could change very little about the way books were made, moved and sold. Advances like computerized typesetting and print-on-demand shuffled things a little, but they did not fundamentally change the natural constraints of making, moving and selling books. Most of us grew up in that world, so we think it’s normal. But it’s really just a phase in the evolution of the book business. A phase held in place by constraints on what was possible. And perhaps the biggest constraint – an effect of the physical nature of books and the way we sold them – was the book-selling specialists’ inability to sell books to exponentially more consumers. Amazon changed that. Bezos and his team solved the constraint on sales, as Fairweather puts it, “by consistently pleasing millions of customers for nearly two decades”. With a key constraint removed, the symbiosis was over. For a few years now, Amazon has been vertically integrating publishing under its very big roof. Today, Amazon is a publisher (rights and branding), a self-publishing service in ebooks and in print, and of course a marketing and sales powerhouse. It owns a large piece of the Internet’s infrastructure. And last year Bezos bought a major newspaper, which may help Amazon do and learn more about marketing. Don’t think that this is normal, either. Or that Amazon will remain the only troll under the bridge. This new phase may last fifty years, as the last did. Or the rapid change that the Internet makes possible will shorten it dramatically. In the meantime, if you’ve been working for a publisher, it may be useful to focus on this: if rights and branding are what you’re good at, get better at it. Most importantly, be creative about it. Ever since the Internet made copies almost free, the biggest barrier between you and new customers is a rights barrier. Don’t make rights your admin person’s side job. And don’t clog your rights department with lawyers: a lawyer’s job is to eliminate risk, and finding new customers always involves risk. While you may have to lose battles with Amazon, you don’t want to lose the battles over rights, such as battles over exclusivity, lowest pricing, and territory. Of course rights are exactly where Amazon needs to win on its road to vertical integration. Amazon often asks for exclusivity in key areas (such as lowest pricing), for instance. And its direct approaches to authors are a move on original rights. Your best defense in rights discussions may be your own precedents: if you are already creatively exploiting rights you control, it’s that much harder for Amazon and others to claw them off you. There is another reason to get creative with rights, too. In another part of this galaxy, but not so far away, open-licensing players are getting stronger every day. They are doing high-quality, game-changing work. The publishing industry’s us-vs-them attitude to open licensing (see this PDF press release and this PDF paper) is self-defeating: open licensing isn’t other than book publishing, it’s a creative tool of business. I would love to see the publishers of today become the creative rights managers of tomorrow. Not only would it make my job at Paperight easier, but because publishing companies employ so many of my good friends and family. Ultimately, we all care most about the individual lives affected by all this fuss; the people who make the books and the people who need them. Wherever they’re coming out ahead, the book business is doing well.